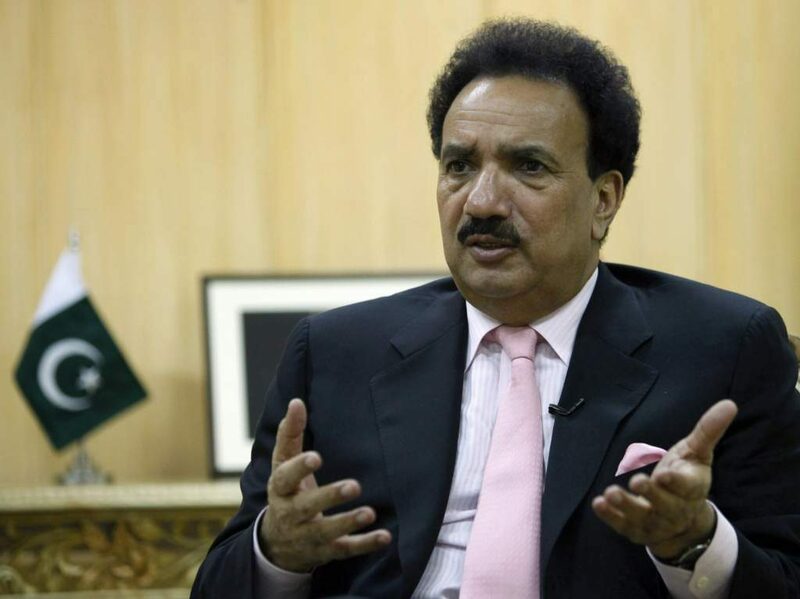 Islamabad: Chairman Senate Standing Committee on Interior Senator Rehman Malik Wednesday wrote another letter wherein the Secretary Interior has been asked to submit a comprehensive report on Counter Terrorism Department (CTD) police encounter near Sahiwal on 19-01-2019. He has directed that the JIT report by Punjab Government on the incident shall be placed before the committee for examination and discussion in the meeting scheduled to be held on January 25th, 2019 whereas the Committee is examining all the relevant aspects and also working out proposals to ensure to stop the replication of such incidents in future. The Chairman Committee has emphasized and reinforced the committee demand of constitution of judicial commission over the Sahiwal Incident to probe all aspects identified by the committee in its letters. The letter is duly signed by Secretary Senate Standing Committee on Interior has written to Federal Secretary Ministry of Interior with copies to Home Secretary, I.G. Police, Punjab, Head of Counter Terrorism Department, Punjab Police and Attorney General of Pakistan. The letter is reproduced as “In continuation of this office letter of even number dated 20th January 2019, and with reference to the Ruling of the Chairman Senate during Session of the Senate on 21st January 2019, the matter of killing of four people (1.Muhammad Khalil – 42 Years, 2. His wife Nabila – 38 Years, 3. Their daughter Areeba – 13 Years, 4. Zeeshan Akhtar – 36 Years) has now been referred to the Senate Standing Committee on Interior to probe and report back to the House within a week. “The Chairman Senate, after full discussion on the matter of Public Importance raised by Senator Javed Abbasi, suspended the Rules of Business and announced his Ruling as under, after detailed discussion in the House; “Killing of four people and injuring minor children by CTD police near Sahiwal on 19-01-2019 is a matter of sufficient public importance which has sent a wave of resentment all over the country. Therefore, the matter is referred to senate standing committee on interior with directions to probe the facts and fix responsibility on those who acted beyond their legal mandate. The committee is also directed to suggest a plan for the welfare of the children as well” It says that in view of the above Ruling, Senator A. Rehman Malik, Chairman Senate Standing Committee on Interior has desired that the detailed information should reach to the Committee without delay by January 25.